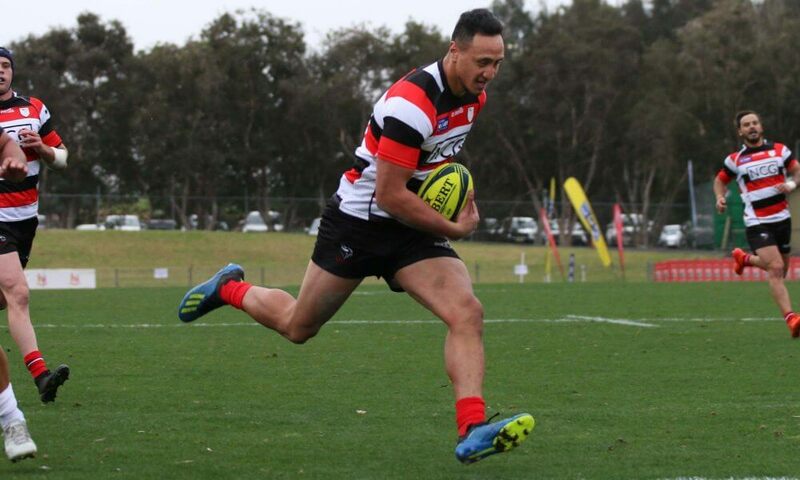 The Canberra Vikings have scored an 82nd minute try to come back from the dead to defeat NSW Country 24-17. In their 3rd game in 8 days, NSW Country was the stronger side for the first half off a dominant showing from Will Miller and their forward pack, leading 14-0 at halftime. The conditions at Armidale were perfect for fast flowing clean rugby, unfortunately, no one seemed to tell the players this as the game was characterised by handling errors and wasted opportunities. At the start of the match, both teams had clear chances to open the account but they coughed the ball up in crucial field possession. 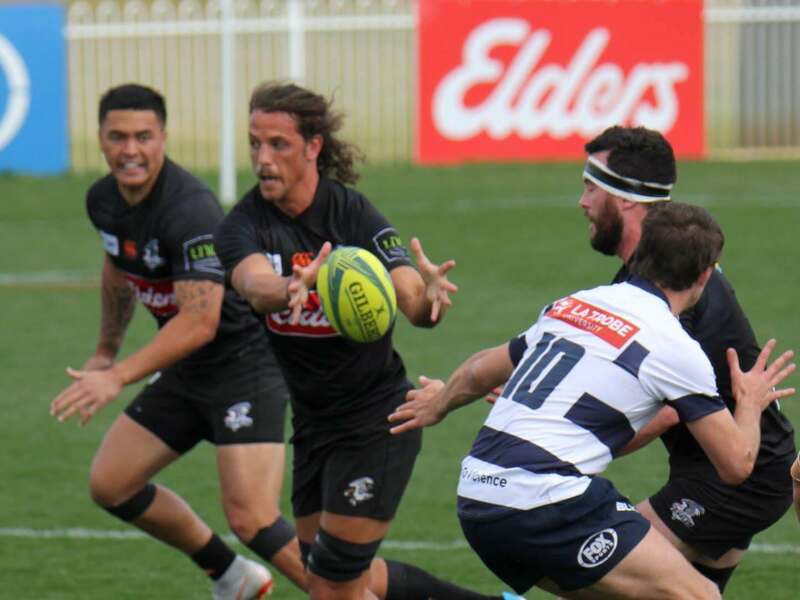 The NSW Country started as the stronger of the two sides, with their forwards dominating at scrum time throughout the half and kept the Vikings at bay with strong defence. Country would start their attack in the 3rd minute with Will Miller winning the side a penalty at the Vikings 22 with excellent work at the ruck, putting the side inside the Vikings 5m. Country’s dominance at the set piece was evident from the start of the match, with the side winning 5 consecutive scrum penalties in a sequence that lasted the best part of 6 minutes. The 3rd penalty in this sequence would finally lead to the yellow carding of prop Sione Taula and it wouldn’t be until the 5th scrum penalty that referee finally awarded NSW Country the penalty try to make it 7-0 after the 14th minute. The Vikings would put together a couple of strong moves despite being a man down and were probably unlucky not to receive a yellow card after a questionable attempt at an intercept. This would be the story of the first half for the Vikings, who would break open the Country defence throughout the first half with strong runs from Jackson-Hope and Taliauli but would cough the ball up when they got close to the line as a result of some careless ball control and strong goal-line defence from NSW Country. Both teams took turns dishing out big hits in a tight tussle in the first half, with strong forwards work earning Country a penalty in the 27th minute before Jed Hollaway dropped the ball just before the goal line after a surprisingly quick tap from Paddy Ryan. 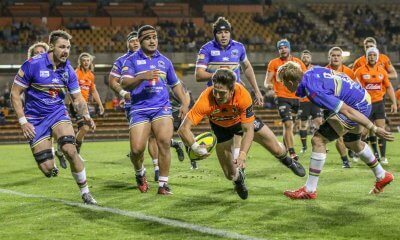 NSW Country would eventually be awarded for their strong showing in the first half, with Sam Figg stealing a lineout and Miller continuing his dominance at ruck time by winning a penalty in the 33rd minute. The injection of fresh blood at the start of the 2nd half seemed to rejuvenate the side, with the Vikings turning around the scrum battle, winning a penalty after losing 6 scrum penalties and winning a tight head in Country territory. This set up the Vikings to attack the Country line along with a strong linebreak from BJ Edwards. They were rewarded for their pressure with a try to Rob Valetini at the 50th minute with a strong surge that saw the young forward carry a couple Country players over the line to bring the score back to 14-7. Their performance today would be summed up by the resulting kick-off where Taliauli dropped the ball off the kickoff, flashes of great rugby mixed in with a bounty of errors. The Vikings would be struck down with injury, with Valetini going down with a knee injury at the 60th minute. Despite the injury, he was able to walk off so hopefully it isn’t too bad. NSW Country in this second half looked like a team that had played 200 minutes of rugby in 8 days and were guilty of giving up the ball and kicking it away on the attack throughout this second half. The Vikings would go on to even it up after Lausii Taliauli finished off an attacking sequence that started in their own half after Mack Hansen broke the line after a slick and slightly forward ball put him into space. Wharenui Hawera would convert from the sideline to level the scores up at 14-14 after 62 minutes. NSW Country would reclaim the lead after winning a scrum penalty 30m out and Mack Mason made no mistake with the penalty to put Country ahead 17-14. Vikings would then control the last 15 minutes of the contest, with the Vikings opting to kick for the line 20m out after winning a penalty. The kick for touch from Irae Simone would go dead but the Vikings would level the scores 3 minutes later after winning a penalty for Country being offside. As the game looked set to finish up a draw, a result which seemed fair for the contest, the Vikings would win a penalty with time expiring and young Brumbies centre Jordan Jackson-Hope bursting through to steal victory for the Vikings 24-17. In a scrappy contest this could have gone to anyone, however, I am controversially going to give it to a member of the losing side, Will Miller. Miller was exceptional for Country, dominating the breakdown and continued to create turnovers to go with his strong defence. Jordan Jackson-Hope and Rob Valetini were unlucky to miss out after strong showings for the winning side. Samuel Figg in a losing effort was excellent for NSW Country with the former 7’s player clearly one of the bright spots for the side. He tackled his heart out today and looked damaging when he took the ball up. I missed the match but have been frothing for a replay link after seeing the tale the of tape. Fingers crossed for Valetini. I really can’t understand why he was starting when a long term knee injury can ruin natural proprioception and it takes a while to gain back a confident injury resistant technique. Good report and good post. Other than Valetini being crocked, fortune favoured the Vikings. In regards the docs, I’d give Robertson a pass – I assume Tom is still only a student – and substitute Robinson. Thanks Nathan. What should have been an excellent game was a little bit spoiled by all the dropped ball, and by some fairly ordinary refereeing. NSW Country I think probably surprised a lot of people by matching the Vikings and being in front on the scoreboard until the 79th minute. But it shouldn’t. They have quite a strong roster and played as you’d expect from a Coleman-coached side. A couple of incidents intrigued me. In that sequence of penalties/scrums that led to the YC and penalty try, it looked on the tv that the Vikings got the better of the Eagles’ scrum on one occasion and actually pushed the Eagles off the ball. What was the transgression that gave the Eagles the penalty in that incident? Then, what precisely happened in the last scrum of that sequence to cause a penalty try to be awarded? I ask these questions because the commentary team didn’t enlighten me, and the tv production was entirely sub-standard. Appeared to be only one fixed camera, and maybe one or two mobile ones. Nothing that showed what was happening on the far side of scrums. And on many occasions the camera was fixed on a part of the game not in the actual play or the crowd, so that there was nothing to indicate what had transpired in the lead up. I’m sure that referee Murphy left supporters of both teams shaking their heads at times. The doubtful pass in the movement that provided the Taliauli try, and a play on decision when Powell was cleaned out by Miller when he was the half back at a ruck about 20m from the try line were a couple of examples where I, at least, was left wondering. There were other incidents like head high tackles etc. Miller certainly had a big impact on the game and showed once again that the Vikings are lacking a player who can stay on his feet and compete for the ball at the breakdown. It could be their Achilles Heel come finals time. I ask again, does anybody know where Angus Allen is? Or another legitimate No 7? 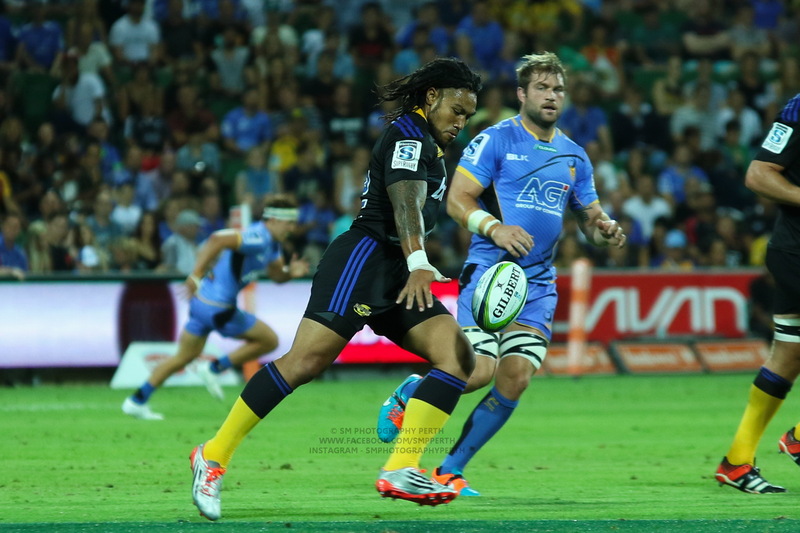 I watched some highlights from world series rugby fan page, rugby.com.au. It looked like the pen try wasn’t a scrum penalty but rather Powell kicking it out of the try scorers hands. Thanks Bobas. I’d have to look at it again, but my impression was that the Eagles No 9 was going into touch short of the try line. I didn’t see Powell kick the ball from Snowden’s hands but if he was in fact in touch or going into touch, then a try would not have been scored had the infringement not taken place, and then a penalty try would be in error. I will say that I didn’t consider the tackle to be the infringement and therefore I wasn’t taking all that much notice at the time. I could well be wrong in my version of the incident. Clearly lost the ball before Powell connected with his foot. And as I commented above, I’m sure a head on shot would show Snowden’s arm in touch as he lost the ball in any case. Not a penalty try on either count. It appears that the transgressions were for wheeling/collapsing the scrum according to fox sports’ play by play. 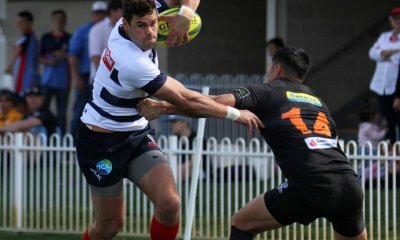 As for the penalty try, the highlights from Rugby.com.au suggest that when the ref went to the TMO, his call for a penalty try was from a scrum incident which looking back on it I don’t think was the correct call. The quality of the refereeing was similar to the quality of the coverage: shaky and not up to regular standard.